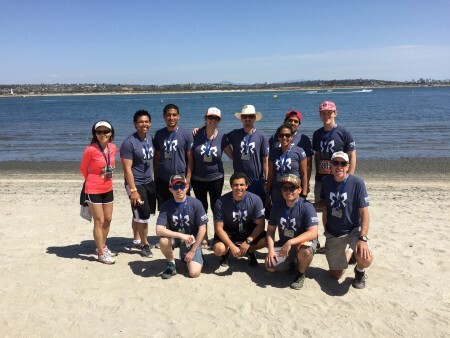 Recently, a group of ASCE Orange County members formed a team and ran the Ragnar So Cal Relay. 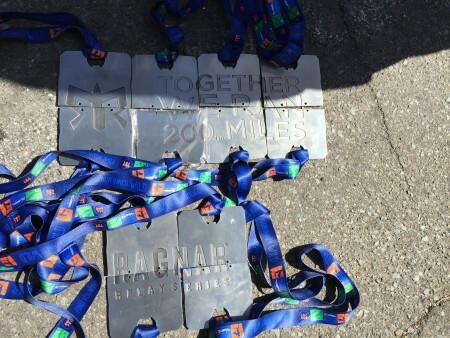 What is Ragnar? It is an overnight relay race that spans nearly 200 miles starting in Huntington Beach and finishing in San Diego’s Mission Bay. Teams are made up of 12 runners that take turns to continuously run until all miles are completed. Team ASCE was a mixed group with 9 men and 3 women. Each runner tackled three legs of varying distances and elevation changes. Most of the time was spent running, driving, and cheering on fellow team members; although, the team did manage to catch a couple hours of sleep. Ragnar So Cal is filled with challenges, from the blazing California sun and the frigid ocean breezes to the exhausting hill climbs and the empty darkness of night runs. 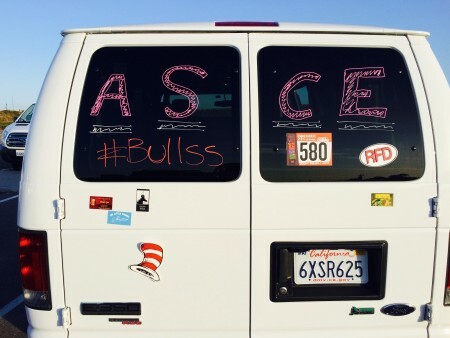 Team ASCE persevered through the mental and physical challenges of running to build camaraderie through cheering and support of one another. 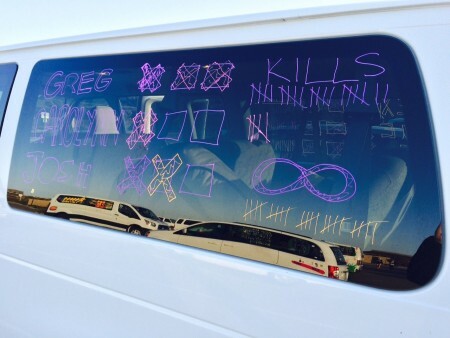 Van decorations are a large part of the Ragnar Race series, it gives teams an opportunity to express what their team name means and who their members are. 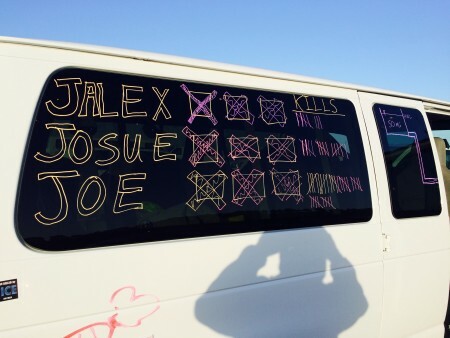 Team ASCE was no exception, they decorated their vans with civil engineering formulas, diagrams, and kill tallies (when a team member passes a runner on their leg). 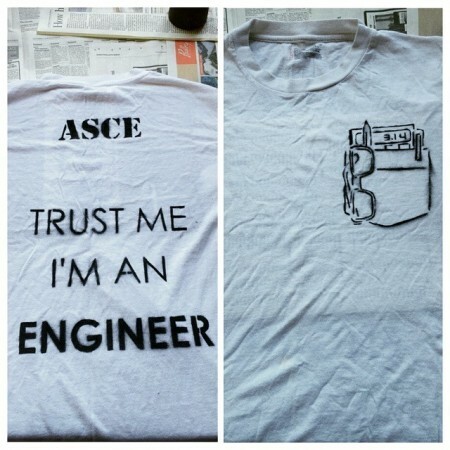 Team ASCE also had shirts with sprayed on pocket protectors featuring engineering must-haves: pens, pencils, and calculator. Thank you to ASCE OC Branch for all their support!